Home Blog Welcome Back, Whales! 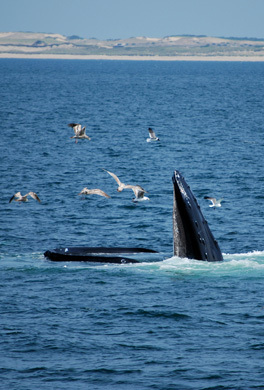 With spring weather just around the corner, some of the Cape Cod and Islands’ favorite visitors are back - whales! Every year from March through December, these majestic creatures call the waters off Cape Cod, Nantucket and Martha’s Vineyard home. The humpback whale is the most common species found in these waters. This type of whale ranges in size from 40 to 50 feet long and weighs about 79,000 pounds. A being that size needs a lot of food (ideally, 4 to 5 thousand pounds a day), and that is why they migrate approximately 3100 miles to the waters surrounding the Cape and Islands each year. 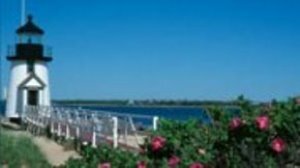 They are here to feed on the schoolfish, cod, and krill that are abundant in and around the nutrient rich Stellwagen Bank National Marine Sanctuary, an 842 square mile, federally protected, marine sanctuary located near Cape Cod Bay. 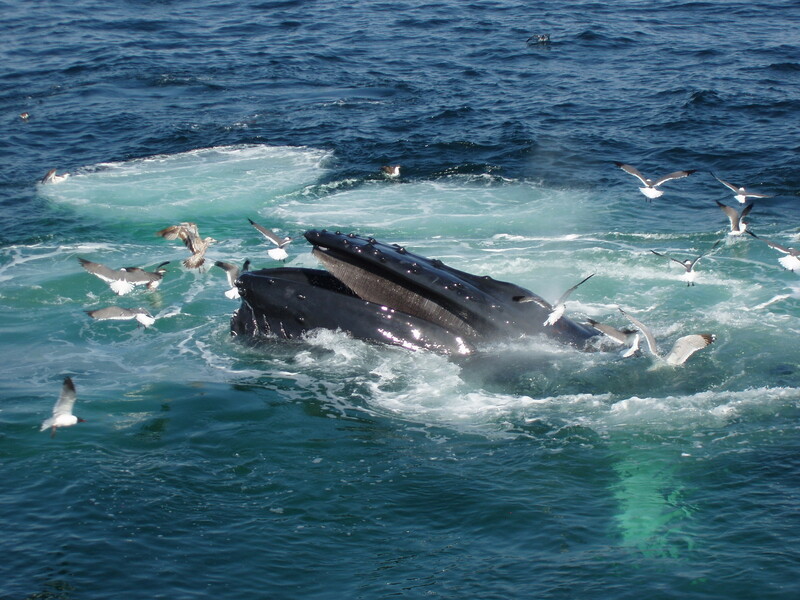 The humpback is known for its ability to breach (launch itself completely out of the water) and for its complex and lengthy songs that can last up to half an hour at a time. WCAI/NPR recently featured a story on the language of whales that included recordings of calls of the humpback, right, and the very unique sounding minke. Other common visitors to these waters include the finback and pilot whales. Less common, although they have been spotted, are the sperm, beluga, and blue whale. What was once a very rare visitor has become a common one. 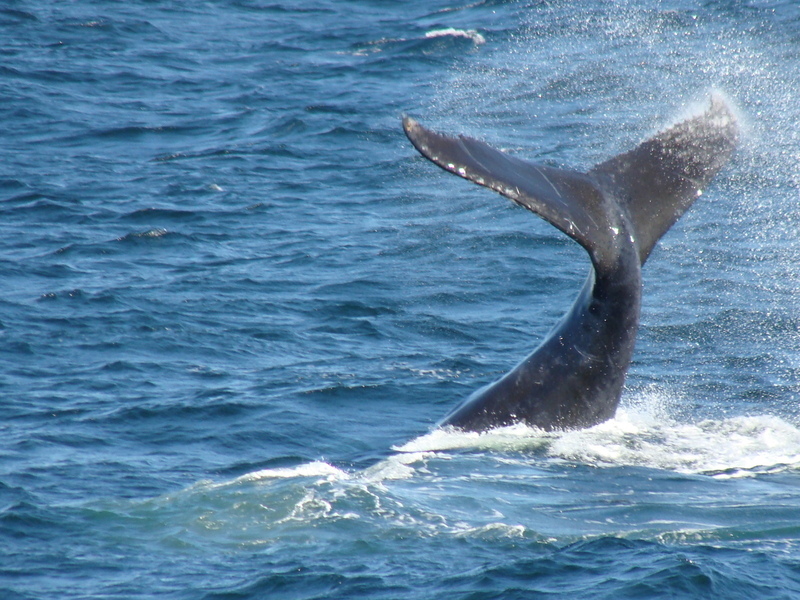 In January of 2014, right whales were spotted in Cape Cod Bay. 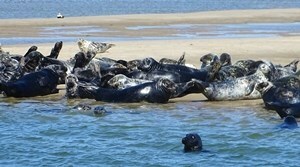 Over the past 5 years, the appearance of these rare mammals has become more common in the waters around Cape Cod. With only 510 right whales in existence, it is believed that around 50% of the population has made their way to Cape Cod Bay over the past few years. The reasons for their visits are unknown for sure, but most likely this group of whales has been attracted to the abundant sources of food available in the waters off Cape Cod. Today, whales are a wonderful sight as they awe us with their sheer size and beauty. But in the early- to mid-19th Century on Nantucket, Martha’s Vineyard and Cape Cod, they were a wonderful sight for very different reasons. The Cape and Islands included a number of major whaling ports, and hunting whales was a lucrative industry. Often times, several boats would leave each day on expeditions that could last from days to years to hunt for whales. The blubber of the whale was made into oil that could be used as lamp fuel as well as in soaps and paint, and to create textiles and rope. Whale bone has been referred to as the plastic of the 1800’s and was used to make everything from women’s corsets to children’s toys. But by the late 1800’s, the whaling industry in New England was in decline. Many factors contributed to the decline, most notably the drastically reduced number of whales in existence, the discovery of petroleum, and the inefficiency and costliness of the American hand whaling method. In 1986, the International Whaling Commission banned commercial whaling. 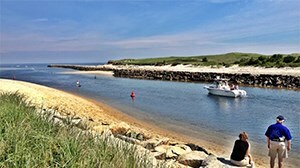 Today, the Cape and Islands is home to groups that research and aid in ensuring the well-being of whales, the most notable of which is the Provincetown Center for Coastal Studies. They not only research, track, and monitor whales in the area in an effort to better understand their behaviors, how they move underwater, their migrating patterns, and conducting population analysis. But The PCCS also is the only group approved to disentangle whales that have been caught up in fishing gear. It is hoped that, with the research being conducted and new laws being enacted for their protection, whales will once again be able to flourish. 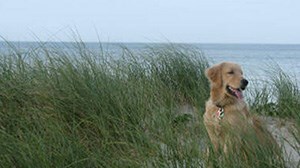 On your next vacation to Cape Cod, Nantucket, or Martha’s Vineyard, be sure to pay a visit to some of our famous seasonal residents. A trip with a certified and professionally captained whale watch is an experience of a lifetime, and you will be able to return home with one whale of a tale! 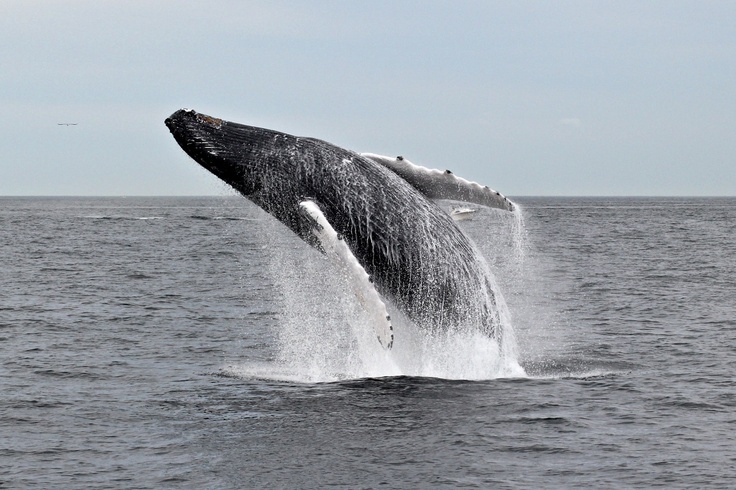 Go Cape and Islands Whale Watching!